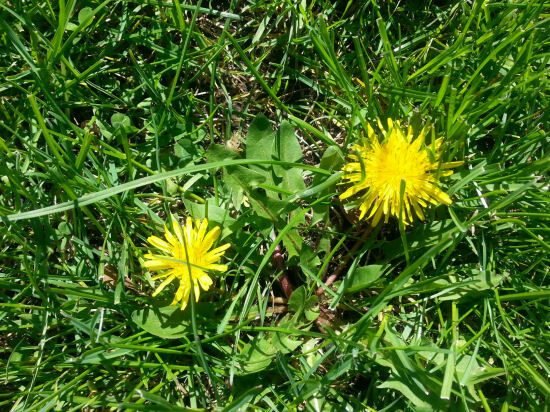 This entry was posted in Seasonal and tagged dandelions, spring. Bookmark the permalink. Oh the dandelion – the proverbial Garden of Eden reminder that by the sweat of our brow will we work for what we glean. …and that a dandelion is a flower indeed in the hands of a child of God. Beautiful thoughts, Barb — I needed to hear this today. Thanks!! *laughing* And I love them! Really?? Domer used to pick them for me when he was little. Guess he must have liked them, too! Oh, I think they’re spicy. *nodding* Yes, I can see that — good description! No kidding! And when the pretty yellow flower stage has passed, we get the fluffy white stage that blows all over the place! They are kind of cheerful, aren’t they, Kim? Best of all, I don’t have to WORK at planting them, haha! Love you back! You know, FF, I’ve never had dandelion wine — is it good??! I’m sad to say I’ve never had it either – hope it tastes better than the flowers smell though! I love dandelions! And I also love when they turn into white puffs and you can blow on them! Dandelions remind me of my childhood and summertime! Thanks for sharing this today, my friend. Enjoyed! Glad I was able to bring a smile to your face today, Ron! Dandelions are such cheery things, what with their gorgeous yellow color, and the fact that they become puffs for us to play with is added bonus! Incidentally, Debbie, I cannot remember the last time I’ve seen a Dandelion in person. In other words, I haven’t seen them here in San Diego. Another reason for you to come out here–maybe? Au contraire, Monica — perhaps they’re enticement for you to come HERE?!? If you haven’t seen dandelions where you are, then you’re missing out on a huge part of summertime. Domer used to call them flowers and would bring them to me in a small bunch. Hard to turn down a fellow bearing a bouquet of flowers, you know!!! Already??? Love those leaves in salads! Really?? I’ve never had that. Somehow, I always thought they’d be a bit on the bitter side. Perhaps one has to soak them or something?? Hehe I giggled when I read the caption :) You’re such fun, Debbie! HUGS hugs for you because you have smiling! Thank you, dear Christy. Glad these dandelions made you smile, too — hope your weekend is absolutely stunning!! I loved doing that when I was a kid, Janna! Of course, I never worried about allergies then, either, ha!